Belgium international Marouane Fellaini has admitted he could have signed for Ligue 1 giants Paris Saint-Germain last summer transfer market. The midfielder had a host of options open to him but opted to extend his Red Devils deal by two years after being given guarantees over his role at the club by then coach Jose Mourinho. 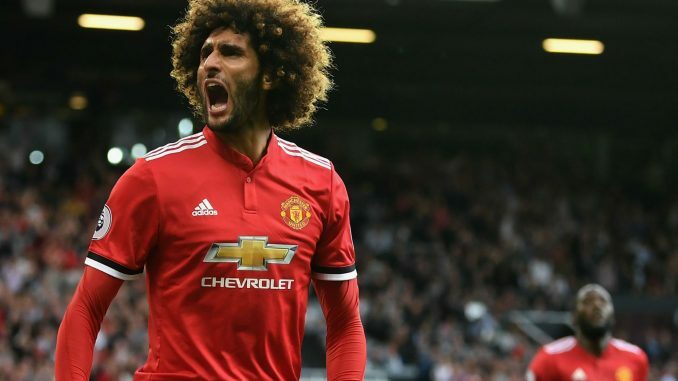 The Parisians and AC Milan were among the sides battling to sign Fellaini and the star has now admitted he was keen on a move to the French capital. Marouane’s decision to commit his long-term future to Manchester United last summer proved to be in vain as the star left the club just 6 months later to join Chinese side Shandong Luneng Taishan. The writing was on the wall for the 31-year-old star after interim manager Ole Gunnar Solskjaer made it clear he would not frequently be featuring in games. In spite of missing out on the chance to join one the elite clubs in Europe back in the summer, Marouane said he has no regrets and stated he made the correct call to leave the Red Devils in January. With the club drawing Paris Saint-Germain in the Champions League last 16, Marouane could have been lining up against his former club had he made the move to Ligue 1 in the summer.